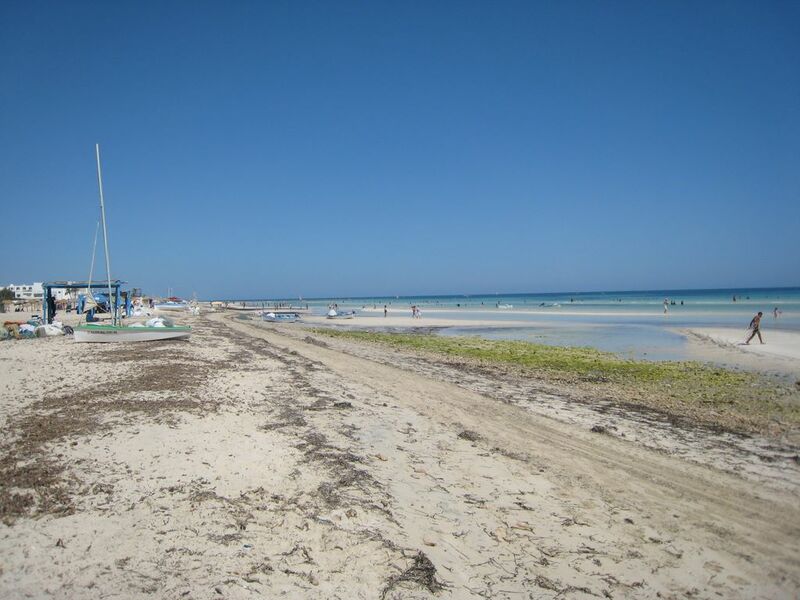 Climate and Weather in Djerba | Djerba: Info, Maps, Photos, Hotels, Attractions, Restaurants, Excursions, Walks at sea, Quad ..
A Djerba Mediterranean climate is relatively warm. The average temperature of the year is near 20 ° C. During the winter the temperature rarely drops below 10 ° C. If you visit during the summer Djerba be careful of sunburn. Temperature can exceed 40 ° C.
Ideal for swimming in Djerba it is advisable to get there between late May and mid-September. At the beginning of the season it is possible to swim from mid-April to the end of the season you can swim until mid-October, but for the last two periods the water is less pleasant.